Adorn Me Jewelry. Beautiful, unique jewelry designs, handcrafted adornments for your body. 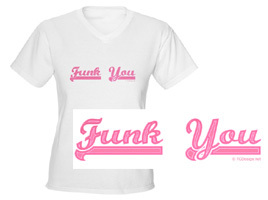 For plus sizes, too. All images and text within this site copyright © T.C. Design.net, 1998 - 2009. All rights reserved. Überfrau means Superwoman in German. 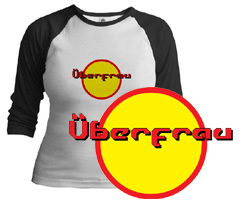 Treat yourself to some Überfrau gear, or show appreciation for the Überfrau in your life. 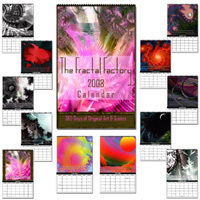 Twelve months of quality original fractal art and select, poetic quotes makes this eye-pleasing calendar a perfect holiday gift. 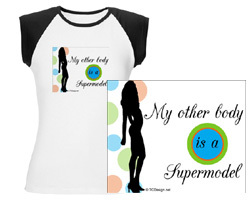 How many of us have the body of a supermodel? When it comes down to it, how many of us really want to? But anyway. These graphics are linkware, which means that in exchange for my providing them for your use, you must use the T.C. Design button I provide with each set on the webpage that you use them on. Many of the sets are also available for purchase to use exclusively. Some of the sets have been zipped up for your use, so that way if you like the way the page is laid out, it's easy for you to duplicate them, using your own URLs from your own server, and by copying my source code, if needed. Do not link directly to these graphics. For sets that have not been zipped up, you can grab them from the page, along with the HTML (which you can customize for your own site), and put them on your hard drive before putting them on your webpage. This can be done by right-clicking and then scrolling to, 'Save image As,' and saving them on your own hard drive. The graphics are not to be modified or changed in any way, except to put names on buttons. Make sure you do not have borders around the graphics -- that the borders are set to '0,' otherwise you will have one ugly page. Once you take the graphics, they do not become your personal property. Do not take my images and backgrounds to use illegally for resale in clip art packages and such, as I am the legal copyright holder. Do not use them for hate sites. I reserve the right to deny use for any reason, though I doubt I'll have much reason to. For linkware, you must use the T.C. Design buttons provided with the set. The use of my graphics implies that you have agreed to these terms. For clipart, textures and memorial images, a simple text link acknowledging T.C. Design - Eye on Design, linked back to this site would be lovely, but. If you'd like to use a TCD button instead, you can find one here. None of the graphics on this site are available for resale or inclusion in graphics/clipart/website collections, CDs, or in any way, except by myself, or with my written permission. I hope you enjoy the pages you decorate with T.C. 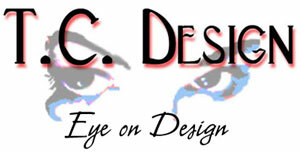 Design - Eye on Design linkware. Please Contact Me, letting me know what you've done with them and I'll link to your website from here so others can find you. Use these graphics in good health and spirit! Looking to make a few extra bucks? As you see, I do not use pop-up advertising, and I don't have any click-through banners that earn me money. What I do have, though, is an offer for you to join a research house that runs legit, well-paying surveys: Survey Savvy. I've been a member for almost two years now, and they are completely legit. You can sometimes earn $20 for a ten-minute survey -- sometimes more, sometimes less, and sometimes the surveys last longer. They also at times have local focus groups you may be invited to where you go and give feedback that can help shape all kinds of things, like maybe what gets played on the radio, and they might pay you $50 for an hour of your time to participate. If this sounds good to you, click here, or on the banner above. All images and text within this site copyright © T.C. Design - Eye on Design, 1998 - 2007. All rights reserved.